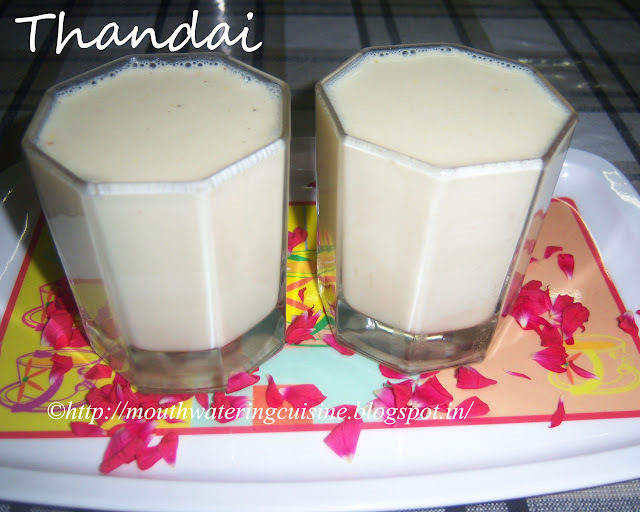 Thandai is a chilled almond flavoured beverage and acts as a coolant to the body during hot summers. It is also a North Indian dish mainly served during the festival of colors i.e. Holi. This cold drink mainly made with milk and almonds and also added flavours of saffron, pepper powder, rose essence or rose petals and some cashews. Thandai is introduced to me by my cousin. 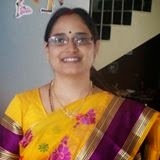 She gets the thandai powder from the stores and mix it with cold milk and serve. But I prefer to make fresh one. So I surfed the internet and checked through with some North Indian friends who make it on their own at homes. Got this recipe and tried my hand in that. Of course liked and loved by one and all. Especially by kids. Soak almonds, cashew nuts, pistachios and poppy seeds in warm water for half an hour. Remove the skin of almonds and pistachios. Add cardamoms and grind them to a fine and smooth paste. Add a pinch of saffron and sugar to it. Now add the almonds paste to the boiling milk. Let the milk come to room temperature, add the pepper powder and rose essence to the milk. Cool the milk completely and refrigerate it for 1 to 2 hours. For more smoothies and summer drinks click here. Thank you visiting my blog. Hope you liked all my recipes. Any feedback and comments are appreciated.